Home / Unlabelled / WILL I BE RE-ELECTED IN 2022..??? Since my election in August 2017 and my war on corruption at the National level I've been informed the point of discussion in the corridors of Parliament and the back rooms of Wagani is whether or not I will be retain my seat following 2022 General Elections. Prime Minister Peter O'Neill certainly doesn't think so, or should I say is praying I don't, not that he prays or goes to Church. Word on the political grape vine is that O'Neill intends to spend K30 million during the 2022 General Elections for Madang Open Seat to ensure I'm not returned, something I found rather amusing. There are also the critics who believe I will be a one term member for spending too much time pursuing National issues and not enough time in my electorate. Before providing the short answer to the question lets consider some historical data on how I won it. I contested my first election in 2007 at the age of 31 as an independent candidate, I finished in 7th place polling 2,644 votes. The winner was Buka Malai who polled 8,512 votes. With a better understanding of how elections work I contested 2012 General Elections, finishing a close second, polling 7,939 votes. Nixon Duban was declared the winner on 8,483 votes, a difference of just 544 votes. Soon after the declaration I received reports Duban cheated by bribing people as well as committing undue influence. I took the matter to Court and in June 2013 the Court upheld my petition finding him guilty, it voided his election win and ordered a by-election. I contested the by-election again finishing second polling 7,805. Duban was declared the winner polling 18,226 votes. With only 9 months in office and being found guilty of bribery he more than doubled his votes. Wide scale election rigging, bribery and undue influence. I filed a second election petition challenging the result. However, the case was struck down after I failed to appear at the trial because I was misled by the opposing lawyer that the trial had been vacated after they obtained leave for judicial review in the Supreme Court. In 2017, I went back to the drawing board this time to develop a strategy to overcome the cheating and bribery. I divided my electorate into four regions, North , South, Transgogol LLG and Madang Urban. I set polling targets for each region, ward, polling area and village. My primary vote (1 votes) target was 15,200, my overall target including preference votes (2's & 3's) was 24,000 votes. I developed an aggressive grass root campaign, I also built social structures from the wards down to every village and clan. I recruited some 2,000+ campaign committees, none of which I paid, nor promised to pay. I refused to build house man or kill a pig during my campaign. Every pig that was donated I gave back. In 2017, I contested elections for the fourth time, however this time wining by a landslide, polling 21,248 votes, Duban finished the runner up on 12,858 and third place candidate finished on 5,614. The margin between myself and Duban was 8,390. So did I hit my targets? My total primary vote was 15,261 a difference of 61 votes above my target of 15,200. I fell short of my overall target 24,000 votes because I had reached the absolutely of 50% plus 1 after the elimination of the 4th placed candidate. Had the third place candidate, a good friend who polled 5,614 been eliminated then I'm certain I would have reached the target of 24,000. It is important to note I was not that excited about winning my election on the fourth attempt as I was developing an effective and efficient campaign strategy that did not rely on cash hand outs, killing pigs or building haus man's. We, meaning those involved in my campaign had essentially changed the game of politics in PNG by beating the cheating. After one and half years in office my critics have gone from I will never be elected in 2017 to I have delivered nothing and will not retain my seat. When I say critics I'm referring to those hiding behind fake accounts, namely the officers and campaign committees of the former Member who refuse to take down their house cry following their election loss. Let's compare my polling results in 2017 against sitting senior Members of O'Neill PNC Party who all hold key portfolio's in O'Neill's Government. 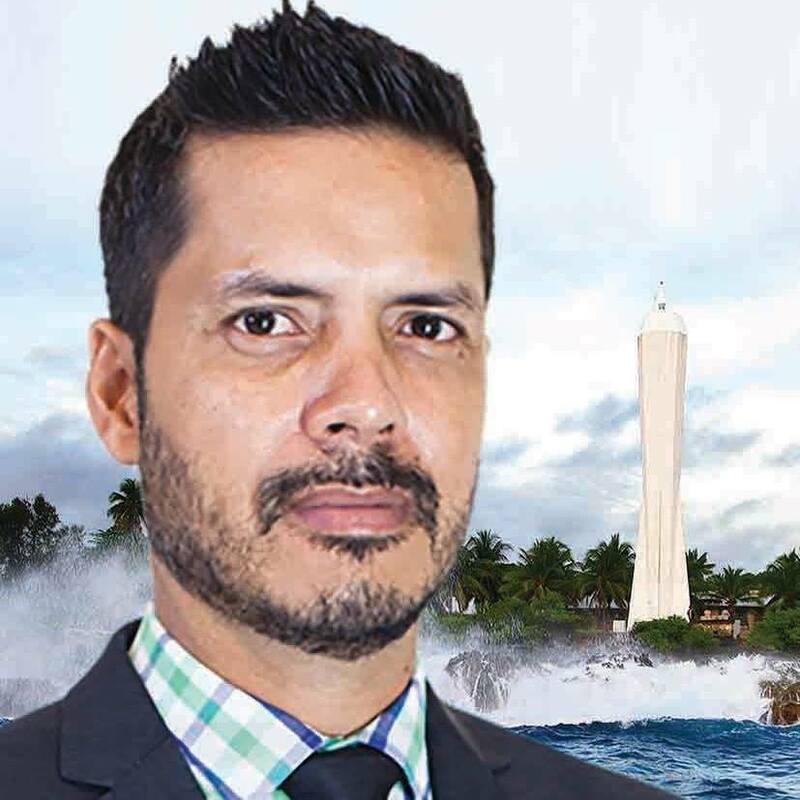 Charles Abel, Member for Alotau Open and Minister for Treasury now serving his third term only polled a primary vote just of 8,592 and declared on 11,918. Nick Kuman, Member for Gumine Open, Minister for Education, third term member polled just 9,457 primary vote and declared on 14,261. Puka Temu, Member for Abau Open Minister for Health, forth term member polled 10,428 and declared on 11,638. In comparison one may argue I didn't do so bad, for a guy who is accused of doing nothing but sitting in a coffee shop all day. How did I poll such strong numbers without being a sitting member, delivering a single project, killing a single pig or paying a single campaign committee? It was about educating a voting population of the role of Government and the importance of electing good leaders to fight for their kids future and delivering on a ambitious campaign policy. A policy I'm now implementing from the ground up. So back to the question will I retain my seat in 2022? The short answers is Yes. I've already set the targets for 2022 elections - a primary vote of 26,500, a figure representing more than 50% of the vote. While some people hiding behind fake Facebook accounts claim I've delivered nothing, it's just funny how I still command significant support of my electorate, in my view more than 2017. There is not a single corner of my electorate I'm not greeted with a smile and a waving hand. I understand my critics are hoping the former Member will be returned in 2022, unfortunately for them that is highly unlikely once the electorate are fully informed of the extent of stealing and mismanagement of 60 million kina expended during his term, his political career is very much over. This leaves the 3rd place candidate as the only real contender who finished on 5,000+ votes. However, he has already explained to me he has no intention to re-contest. So at this stage I'm kind of unsure who I would lose the Madang Open seat to?. If there is one thing, Members of Parliament should be worried about is whether they will retain their seat. My number one weapon to take them out will be Peter O'Neill by connecting them to him. With the poor state of the economy, escalating cost of living, devaluing kina, failed education and health sector not to mention general public hate for O'Neill I expect 85% of Members of Parliament to lose their seats. So my advice is the sooner they get rid of him the better chances they have of being returned in 2022.